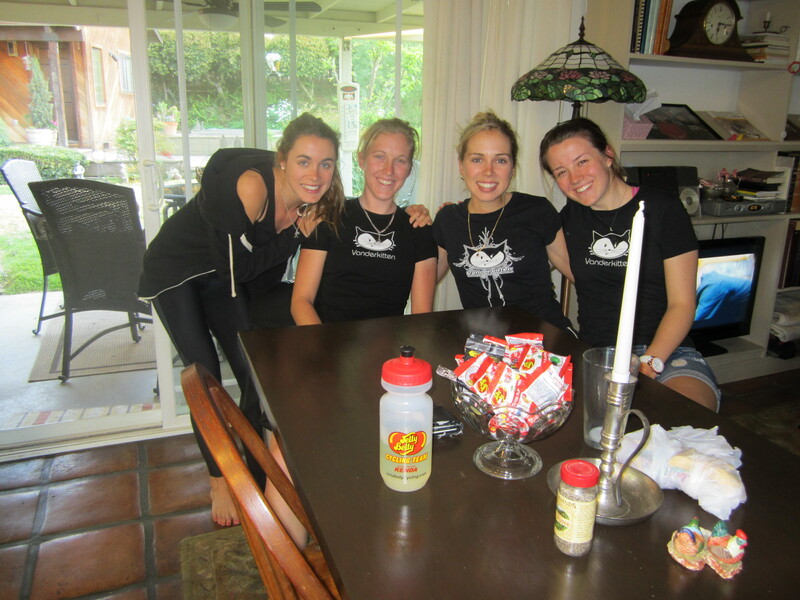 Vanderkitten-Focus athletes Ruth Winder, Starla Teddergreen and Kate Chilcott may be gearing up for a season at the premier level in the USA. 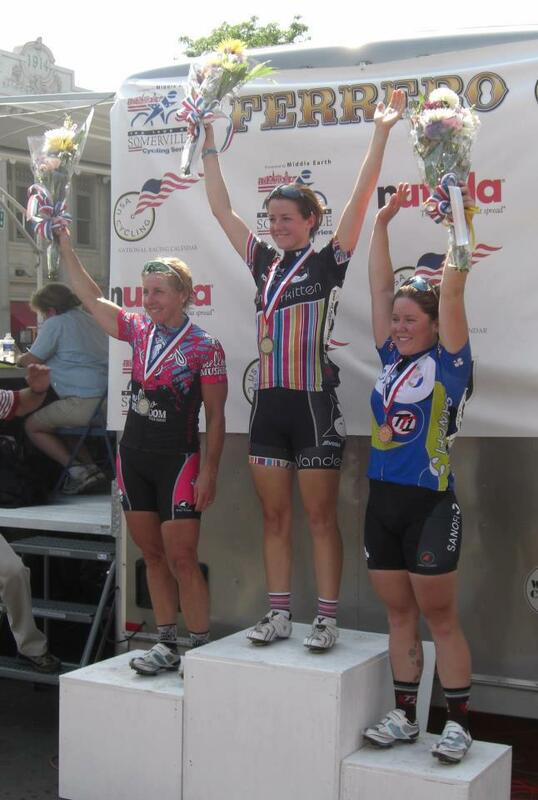 But it wasnt so long ago these three fast girls were pinning on their first race numbers and discovering the sport of competitive cycling. A timely reminder that even the coolest kittens have to start somewhere! Hobbies: Besides riding my bike, I spend my time walking my dog, Nero. Or drawing for hours. Non Cycling action/ adventure/ fitness story or memory: Hm…Something non cycling related…Difficult. When I was younger I took horse back riding lessons for about 5 years. In 2007 I stopped horse riding and started cycling. For as long as I can remember I have dreamed of galloping a horse through a big grassy field. In early 2011 I got to live that dream. A friend let me know of lady that needed her horse exercising once a week. It felt like I owned my own horse for 2 hours once a week! That itself was a dream come true. First day I got to gallop the horse through a nice big grassy field. Next on the list is gallop along the beach! My first bike race was at the end of 2007, San Ardo Road Race. I raced the Junior 13-14 age category, I was 14 at the time. There was one other girl in the race and two boys, and they were all on the same team. A few miles from the finish I was innocently taking my turn at the front when all three of them attacked and dropped me. I rolled in alone and a bit upset, but ready to try again. When did you first hear about Vanderkitten? Early 2008 I went to go and watch the Tour of California women’s crit. I saw VK race for the first time. It was actually the first time I can remember thinking ” I want to do this some day. ” Little did I know that one day I would be racing races like the Tour of California women’s crit, but get to race them for VK. What does it mean to you to be a part of Vanderkitten? For me being a Vanderkitten means the chance to show that women cyclists an be fierce and tough while maintaining their beauty and style. That is really important to me, keeping women’s sport feminine, but at the same time giving no one a doubt that we aren’t just as tough as any guy. 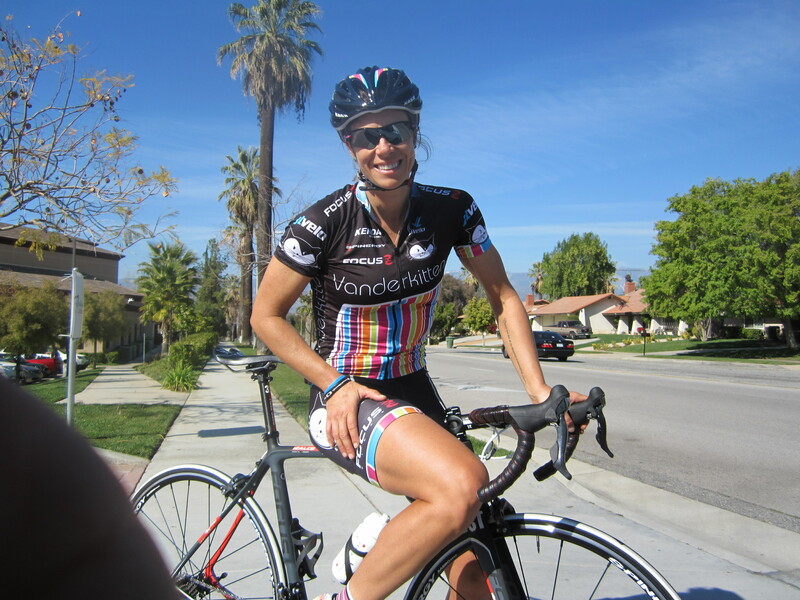 To be able to wear the Vanderkitten kit makes me very proud. The team is being run by some of the best people I have ever met. 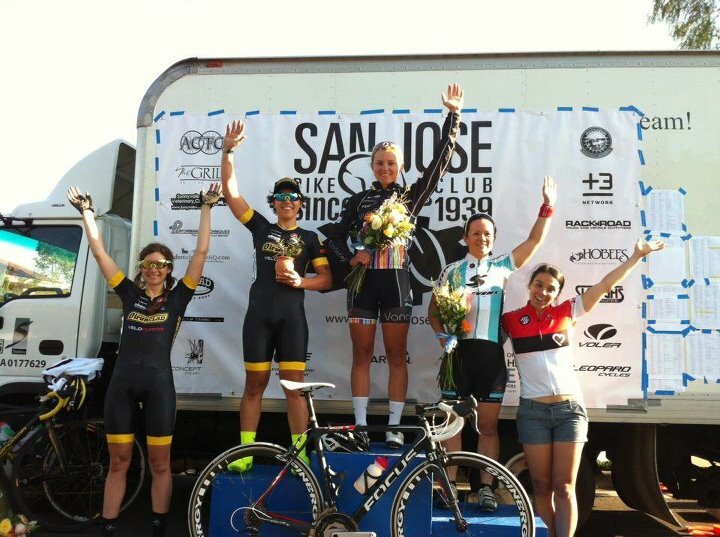 People who are genuine and really looking to grow women’s cycling. Hobbies: Riding bikes. Sleeping. Cooking. Fingernail painting. “How I met your mother” marathons. Non Cycling action/ adventure/ fitness story or memory: Every day and every memory is an action adventure when you’re a ninja. BOOM. First Bike Race: My first road bike race as a cat 4 that I can recall was Burlingame crit. My bike was a steel davidson that I also messengered on for work. I can not recall much from this race, except one thing. When I remember this moment it is as if I am standing behind the barriers watching my self. A bit of a set up is required first. I was on McGuire race team, formally a messenger team, that was how I got involved with the team as I was a currier. This race was kind of a big deal for the team as we were setting up infront of the McGuire office, they provided us with food, chairs and trainers to warm up on. This was my first experience like this and my first time warming up on a trainer, and really warming up at all. I sit on the trainer watching the other girls, trying to mimic what they are doing. Trying not to draw any attention to my self. This is where my memorie gets fuzzy and I soon find my self on the side line watching my self in the race. One lap in and im in the middle of the pack, the next a bit further back, and further, and further until I am off the back, my head is down, riding as hard as I can, the pack is still in sight, a few laps more and they are gone. I watch as I go by the Mcguire tent head down as people cheer and ring bells. They eventually stop cheering and im thinking what are you doing? Why are you still riding? Even the crowd has given up on you, now this is just sad. I cant watch any more. And this is where my memory ends. I know, not my best memory, or first race. But I have to give my self credit for not giving up. It would be a few years after this experience when I got back in to racing, and learned how to ride in a pack and stay in a race. What does it mean to you to be a part of Vanderkitten? : Vanderkitten is like no other team I have ever raced on. 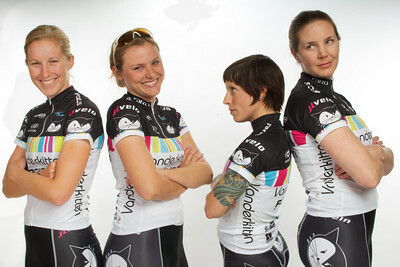 Vanderkitten is more then a clothing company for women, more then a women’s professional race team. Vanderkitten is a family and a way of life. When we are out on the road, traveling the country and beyond to race, people reach out to us because VK reaches out to them, in one way or another, and a connection is made. VK the brand sparks peoples curiosity, this starts a conversation, we take time,before and after races to share our story. For some, this is the first bike race they have ever been to, or the first woman bike racer they haver ever talked to. 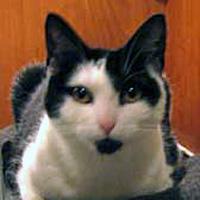 Because of Vanderkitten and all of our sponsors, we are given this incredible opportunity. We are able to share our passion for the sport, and hopefully inspire others, to fallow their dreams as we do. Hobbies: skiing, hanging out with friends and family, reading, going to the beach. Non Cycling action/ adventure/ fitness story or memory: have had many so it is hard to pin point just one. Love summers of water skiing, swimming, jet skiing, boating, beach hopping, picnics etc. and winters of snow skiing and mountain adventures. First bike race: Was a school cycling team time trial race when I was 14. 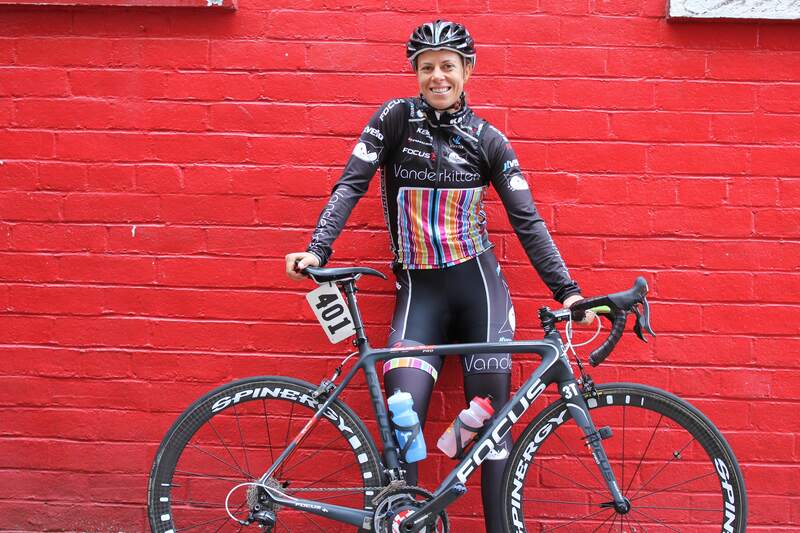 When Did I first hear about vanderkitten: When I raced them at the NSWGP in 2010, quite possibly the most fun times at a race ever. 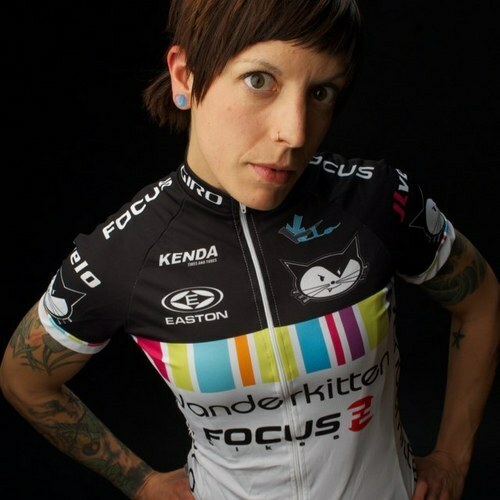 What it means to be apart of Vanderkitten: So excited to be apart of VK in 2012, not only do they have alot of sucess and fun on the bike, but of the bike too! 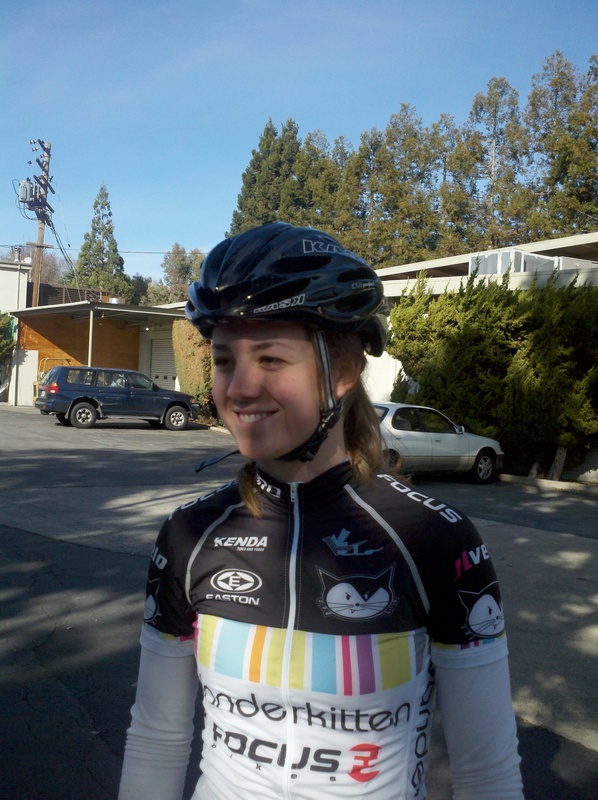 Speedy Santa Cruz Cyclocrosser Courtney Van Dimpel has graduated from guest riding with Vanderkitten-Focus in 2011 to making the selection for the 2012 roster. The universally popular young Santa Cruz rider has shown her hand at CX racing with Team Rambuski Law this winter, including multiple wins and podiums in NorCal racing, and top finishes at USGP and UCI events across the USA. 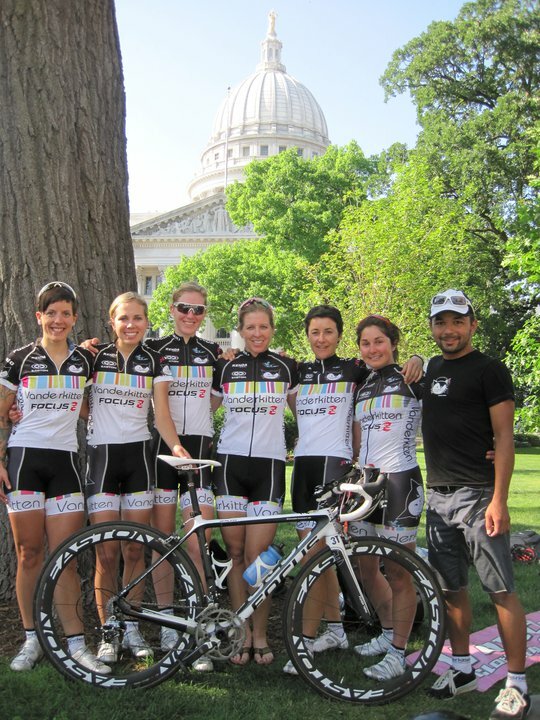 Earlier in 2011, Courtney joined the Vanderkitten-Focus road program as a guest rider at Tour of America’s Dairyland in Wisconsin and Gateway Cup in Missouri. 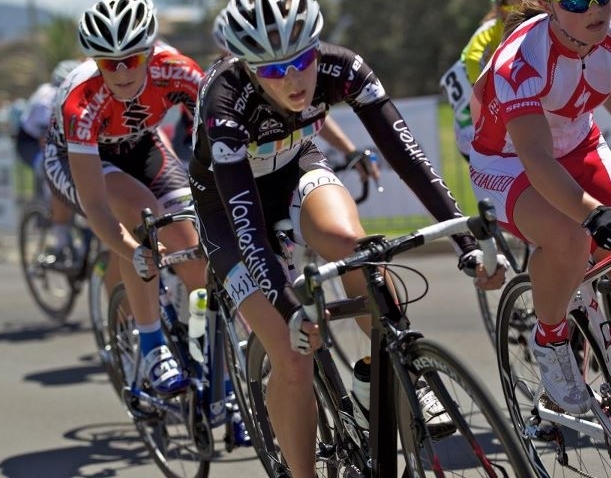 “Even though selection for positions on the 2012 roster was a tough process, Courtney earned her spot by showing she is a valuable team member on and off the bike. Definitely a strong competitor on, it was the fact that several members of our team kept asking “Will Courtney be on it?” that sealed her spot. She really is adored as a hard worker and motivating spirit to be with” says Team Captain Jennifer Reither. Van Dimpel will be one of the local riders when Team Camp gets underway with 12 riders from 4 countries in Scotts Valley, California in early 2012. The Vanderkitten Sale only happens once a year- get your premium apparel at www.vanderkitten.com/apparel this week in time for Christmas and look fab whilst supporting the HOTTEST team in cycling!!!! Fit, Fashion, Function. PICK 3!! !